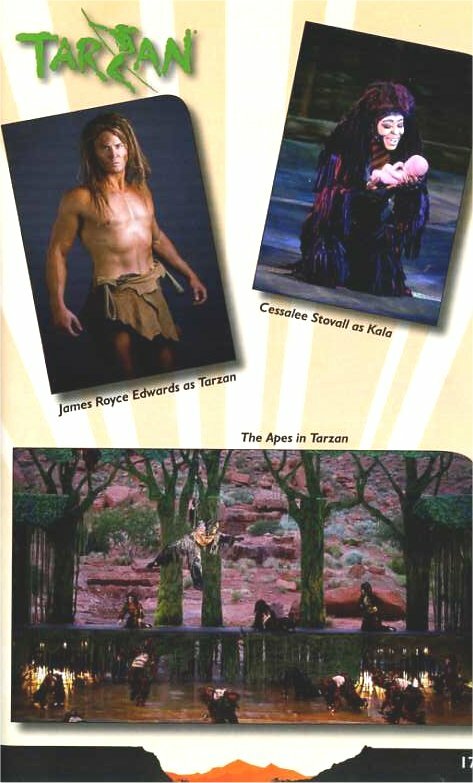 The jungle came to life in the desert when Tuacahn Amphitheatre presented the regional premiere of Tarzan -- the Broadway musical based on the popular 1999 Disney film and beloved story by Edgar Rice Burroughs. This classic tale begins when an early 1900 shipwreck leaves an infant orphaned on the West African shore. 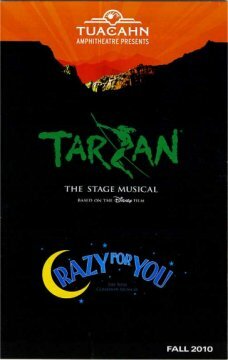 The helpless baby is taken under the protection of a gorilla tribe and becomes part of their family. 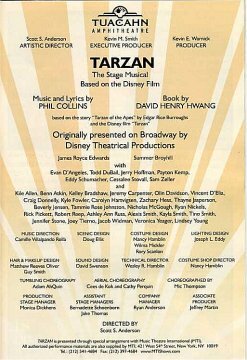 When he eventually encounters his first human -- Jane Porter, a curious young explorer -- both of their worlds transform forever. 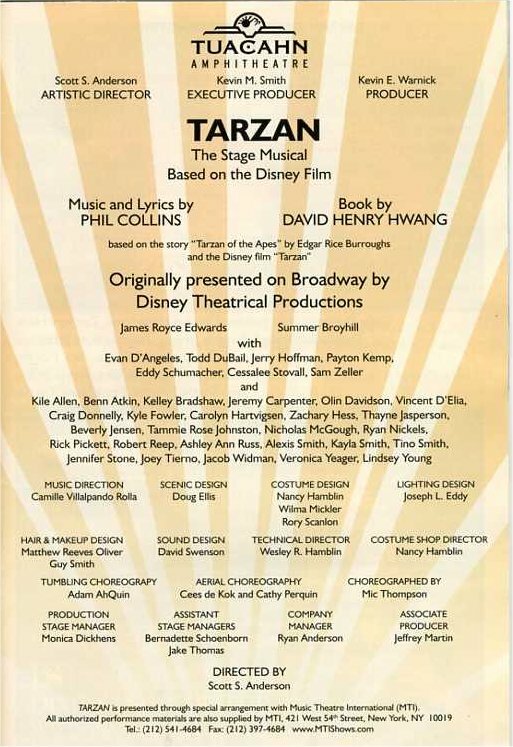 Tarzan features the songs from Disney's film as well as nine new songs written specifically for the Broadway production. 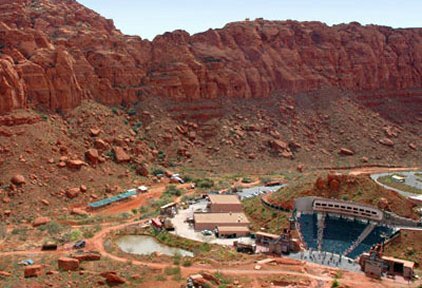 The show's Grammy Award-winning musical score, written by singer/songwriter Phil Collins, propels the energy and imagination of this literary favorite, making the show a complete sell-out for every 2010 performance at Tuacahn Amphitheatre.